It has been well over a decade since all four members of the legendary r&b girl group XSCAPE have released any new music or graced the stage together. They world/fans are no strangers to the issues that the group have internally had with one another, but prayers have been answered because they have finally reunited. Today Kandi, Tiny, & Tamika were live in studio at Atlanta's V-103 radio station & LaTocha was their via phone. 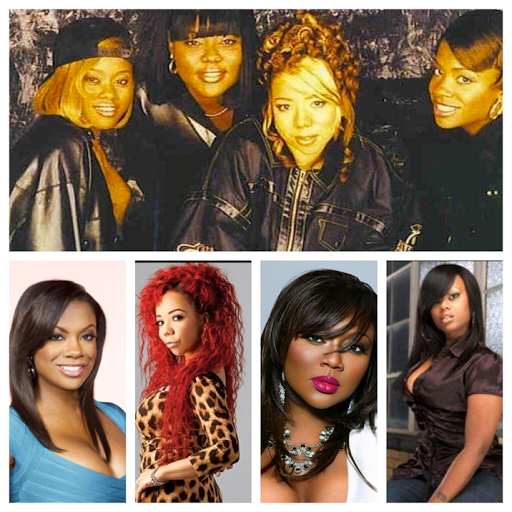 Kandi stated that after watching the New Edition story she began to think about the legacy of Xscape. All four ladies spoke about finally having a long overdue conversation with one another to squash any & all beef & now they all want to focus on the legacy. During the radio interview the ladies took listeners down memory lane with a live impromptu rendition of the classic "Who Can I Run To".